Please call 949-276-7180 or E-mail : welllbeingcreator@yahoo.com to place an order. This is ACUPUNCTURE without needles! The unique shape of the Guardian Angel, formulated with over 300 points, will stimulate acupuncture points in your hands to treat pain and prevent disease in the body. 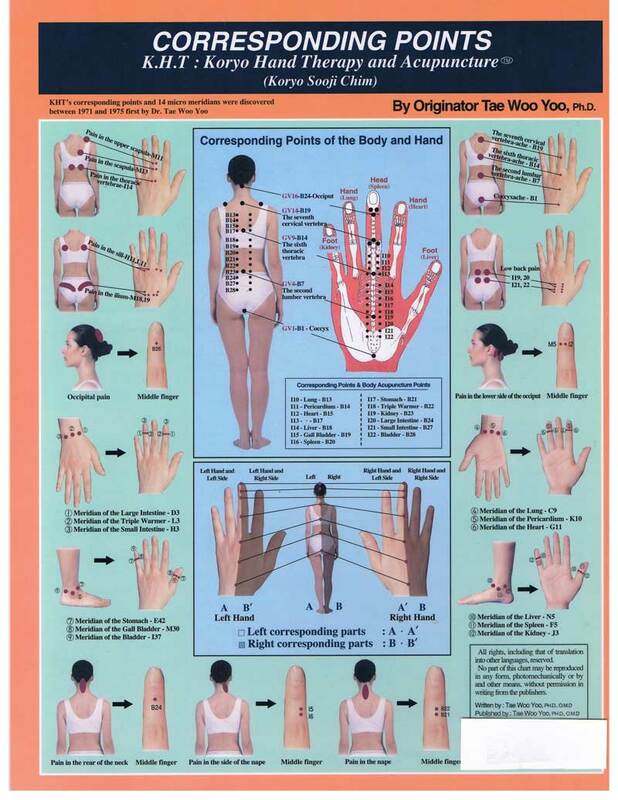 The conical shaped points press into the palm and fingers ¼ inch to stimulate exact acupuncture points. These points trigger the brain to release bodily chemicals-oxygen, greater blood flow, hormones, etc. bringing balance to any troubled areas of the body! Comes with Hand Acupuncture Point Chart and a Necklace so you can carry all day long. As its name implies, this AMAZING product Guards your health and is your own tool on the road to greater health and vitality! By finding the sensitive areas on your hands, you will be able to treat that location on your body. The person introducing you to the Guardian Angel will guide you through the simple process used in Korean Hand Therapy to locate the various places on your hand you wish to treat. You may then use the Guardian Angel, or other Korean Hand Therapy tools that are available, to treat yourself. Did you know that by just holding the Guardian Angel in your hand and squeezing it for a few minutes you can raise your body temperature up to 7 degrees? That’s right! Warmer blood flowing through your veins means enhanced organ functioning and a higher metabolism. This simple exercise is actually more effective than doing 50 push-ups or sit-ups! The results are proven effective, tangible, and AMAZING! We have coated the Guardian Angel with 24K gold. After extensive testing of many products including wood, jade, stone, copper, stainless steel, aluminum, and silver, we found nothing worked better than gold. Gold is the least allergenic of all metals and the superior choice to prevent skin rashes, itching, or infection. The Guardian Angel was invented by a Japanese Doctor of Acupuncture some 12 years ago. Since its creation, literally millions have been sold in Asia and abroad. It was recently brought to this country (2007) and is now available for purchase here in the United States. Increasing sales and thousands of testimonials are proof that this product WORKS for anyone and is here to stay! Click here for more information about the Guardian Angel. Copyright © www.WellBeingCreator.com. All Rights Reserved.